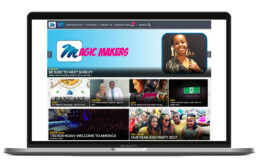 Magic Talk is a customised internal communications app that sparks conversation between M-Net employees in South Africa, Nigeria and Kenya. Regular push notifications alert M-Netters to galleries of employee photographs, event invitations, profiles of teams and colleagues, video messages from their leaders, as well as company news and exclusive competitions. On-app interaction contributes to M-Net having an employee engagement score of more than 70%. 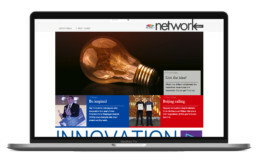 Network News is an interactive, responsive internal communications website published by New Media for MultiChoice South Africa employees. It delivers business messages in the form of profiles, competitions, reviews that keep employees engaged and inspired to live the company values and act as informed and passionate brand ambassadors. 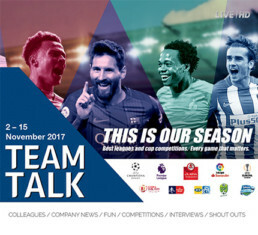 Team Talk is a custom-designed emailer for SuperSport employees. Regular contributions come from across the business – everyone from producers and video editors to social media specialists and administrators share their news. Profiles, birthdays, team triumphs and SuperSport updates are sent straight to employees’ inboxes every second Thursday.